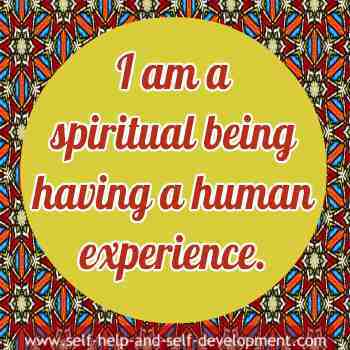 20 Spiritual Affirmations To Raise Your Spirituality. 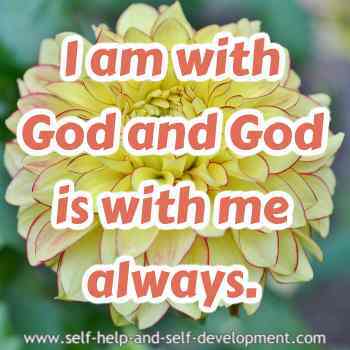 Spiritual affirmations are meant to take you nearer God. Read the ones given below or make your own on similar lines and repeat them along with prayers.They can also be referred to as Affirmations of Faith. Closeness to God is achieved in many ways. Praying is one of them. Affirmations can be another. If you are a spiritual person, then you must be saying your prayers regularly. Prayers are supposed to be a link between God and the person saying them. In the same way, you can repeat one or two (or even more) affirmations along with your prayers. These affirmations will fine tune your subconscious mind with your spirituality. The advantages are obvious. The difference between spiritual and other affirmations is that the former are non-materialistic. They are mainly for the enlightenment of the soul. One can use these affirmations irrespective of one's religion. Whether you are a christian, muslim, hindu, buddhist, jew or of any other faith, it really does not matter. These affirmations will affirm your faith in God. Your love to God and your proximity to God, both will be enhanced. In a sense, spiritual affirmations are similar to prayers. Repeating them daily will give a spiritual bend to your mind. In this age of crass materialism, these affirmations will help you keep a balance in your life. 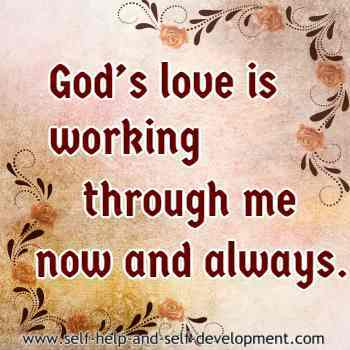 God’s love is working through me now and always. 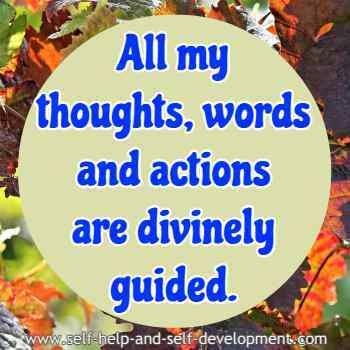 All my thoughts, words and actions are divinely guided. 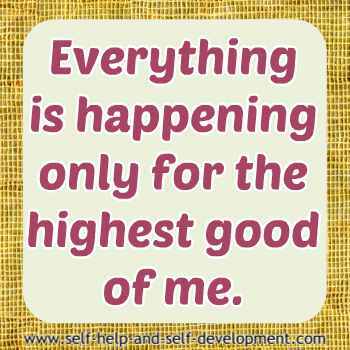 Everything is happening only for the highest good of me. 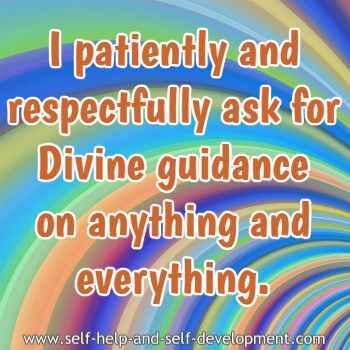 I patiently and respectfully ask for Divine guidance on anything and everything. 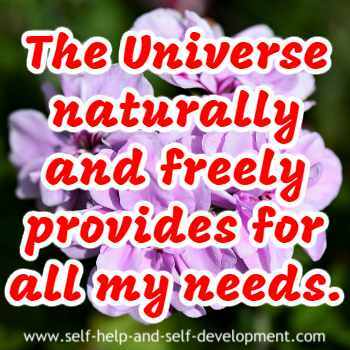 The Universe naturally and freely provides for all my needs. My mind and body are in complete alignment with the Universe and I am always in the flow. When I love people more, I receive even more love from them in return. 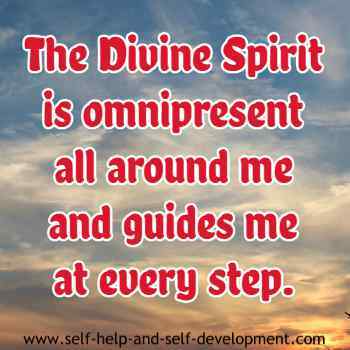 I am a divine expression of a loving God. I let go of fear. I let go of pain. I live in love. I am a loving, kind and forgiving person, in accordance with my spiritual nature. I ask for forgiveness from all those whom I may have wronged and forgive all those who may have wronged me. All is well. The love of God flows through me. I am His, He is mine. I surrender to God. He is always with me. I do only his bidding. Religion to me is a way of life. It is a way of living a morally and ethically correct life.